Just when you think that Real Estate prices on the North Shore can't go any higher it happens again. And again. And again. 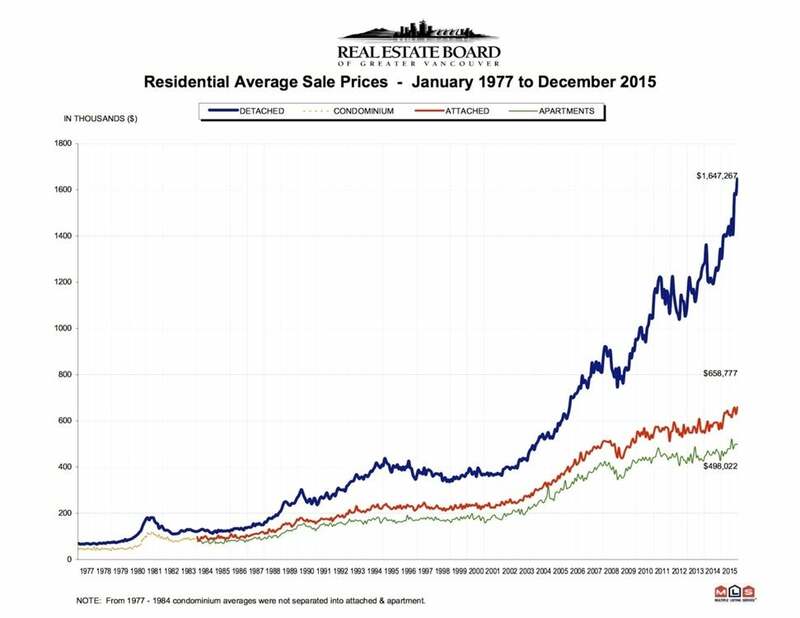 What's interesting, is this cycle seems to happen every 5-7 years and prices on detached homes never seem to drop during the slower times. In fact the so called "slower times" only really seem to mean your home takes a bit longer to sell however prices (on average) barley move. The people who benefit the most from this busy market are those who have homes in a lesser desired area. For example you live next to a hwy, a busy main road or your home has little privacy. This year when the number of homes listed for sale was below historical averages. The number of actual home sale set a new record!!! If your thinking of making a move do it now cause it's a Sellers market! Sales of detached, attached and apartments were up 27.8% over 2014 and 48.4% over 2013! Housing markets typically experience a quieter periods within a calendar year but that was NOT the case in Metro Vancouver Last year.